Data mined 'Fortnite' files suggest that several Limited Time Modes are being developed by Epic. Another "Fortnite" update recently went live (V4.4.1), where it re-enabled the Shopping Cart for the game's Battle Royale mode and rolled out the Player Reporting system for its Save the World version. There may be more content to come, as data mined files reveal details about a couple of upcoming game modes in the game. Also, there are a few game assets hinting at the possibility that the BR mode could have some first-person features. The Twitter page named Fortnite: Battle Royale Leaks (@FNBRLeaks) dug deep into "Fortnite's" game files and discovered some things that are likely to arrive in the game. If the series of tweets are anything to go by, several Limited Time Modes are currently in the works. Fans are aware of the Score Royale game mode that has been brought to light early on by other data miners. @FNBRLeaks' latest tweet provided details about it as its description suggests that this upcoming LTM will have a brand new take on snagging that Victory Royale. It further explained that players will just have to earn points by consuming foraged items, opening loot containers, and eliminating opponents. The first player to pass the high-score threshold will be declared the victor. A Survival Bonus will be made available during the match as this will pop up every five minutes. 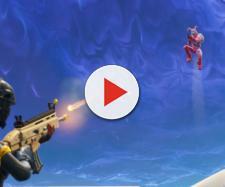 Another LTM that is being cooked up by Epic is a mode dubbed as Final Fight. Per the data mined intel, the game will be like the usual Battle Royale mode "until the Final Countdown timer begins." When the Final Countdown timer starts, players will then decide whether they attack or defend. The winner of the match is decided by the team which still has the most number of members that are still alive. The said LTM will be available in the forms below. Playground mode was also dug up by the data miner. This is some sort of practice mode for players who want to try out "Fortnite's" new weapons and items and even enhance their building skills, as it is said that resource gathering is way easier. Meanwhile, @FNBRLeaks also came across a few game assets in the Intel Pack suggesting that it has some sort of a first-person feature. He pointed out that he is well aware that Save the World has the said feature, but the game files are under the so-called Athena files, where BR assets are found.